Santa was in attendance, along with a few of his elves, as children had the chance to visit him and get their picture taken. From left: Laurence and Adele Dubeau were up from Aylmer, visiting their Grandma, and the jolly man himself, of course. 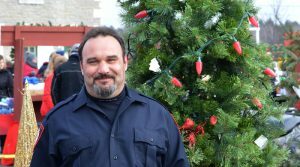 Sylvain Begin, a member of the Mansfield Fire Department, organized his second angel tree this year, working with the community and Bouffe Pontiac to ensure all children in the area receive a gift this Christmas. Vehicles from both sides of the river lined Hwy. 148 on Saturday, as hundreds flocked to an annual Christmas market in Mansfield et Pontefract so big, it couldn’t be contained indoors. 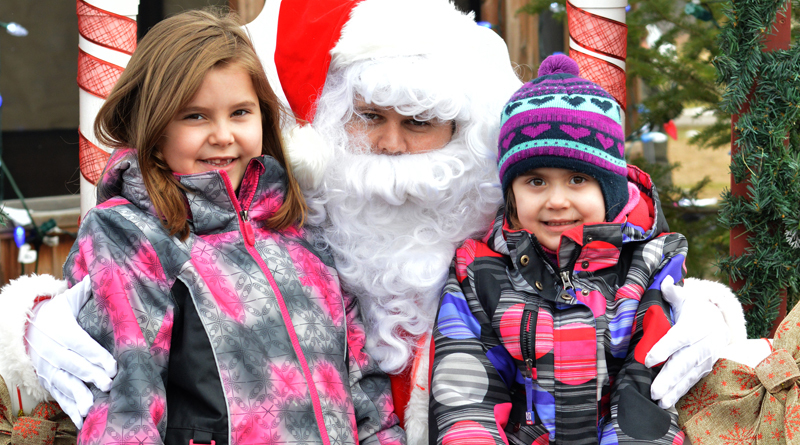 With weather as nice as the market enjoyed, the gathering at the George Bryson House was the perfect location for shoppers to browse everything locals had to offer, take their picture with Santa, enjoy a pony ride and more. 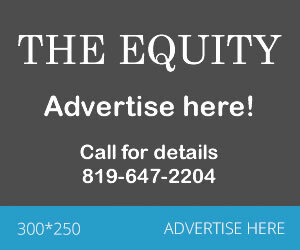 George Bryson House Vice President Nathalie Denault said it was the first time the museum’s committee oversaw organizing the market and that it had been a fun effort put on by the group. With funding provided by the municipalities of Fort Coulonge and Mansfield et Pontefract, as well as Pontiac MNA André Fortin’s office, the group was able to decorate the building extensively, as well as host 35 vendors.